The question on my mind today is this blind hero worship really worth the cost of admission? I realize that what online marketers do is get you to buy everything under the sun. The reason is because they want to make as much off you as possible before you give up. Truth be told most people simply give up. The fact of the matter is none of that fancy software they are telling you to buy or the bonuses they are offering you will ever make you more money. Most of that stuff will just sit on your hard drive collecting dust. Even if your ambitious and you actually try using some of those software products you are still going to be left with a feeling of hopelessness. 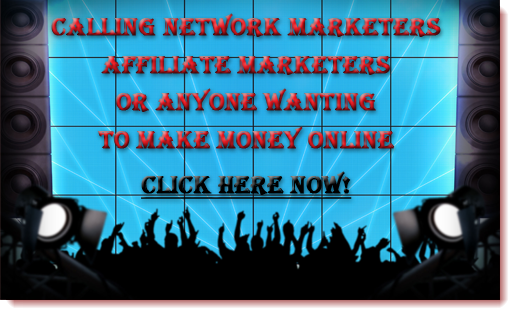 Because it’s not software, systems or bonuses that are going to make you money in the internet network marketing niche. What will make you money is having the right knowledge at your finger tips and mentors that actually teach rather than just sell sell sell.. I am saying this stuff because I don’t use all those “great software products” or those “unique marketing systems” about those exclusives bonuses… -> Ya they are really useless too. Even though I don’t have any of those “awesome extra’s” I am still able to thrive and earn online. I have been purely blogging and using the empower network system -> Meaning their blogging platform and their lead capture pages. What I do behind the scenes though is another thing. I’ve learned how to market effectively to my list. I’ve learned how to build a list. 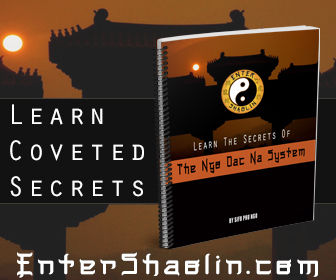 What is really awesome is 99.99 % of all the information you will ever need to be successful online is inside empower network. 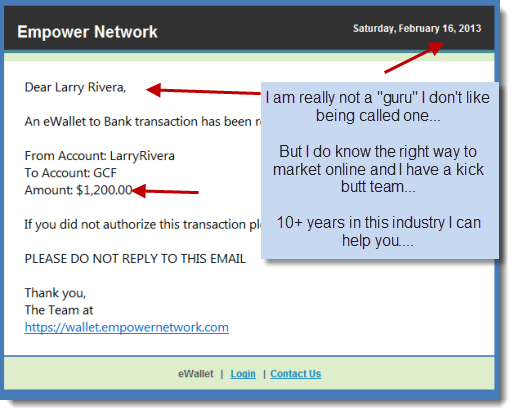 What is even more interesting is literally the top internet marketers and network marketers have joined empower network already. Sure you can go find their affiliate links and join their business, I bet they even have a sweet bonus waiting for you. My point is simply this. You don’t need to have all the latest software or join the biggest internet marketing rockstar to be successful online. What you do need though is solid business plan and a good supportive community backing you up. While most marketers are usually trained in traditional print, radio and TV advertising, before learning about online outlets, founding my online business meant I learned about the virtual realm well before I touched traditional advertising methods. I’m quite new to network marketing and I was blessed enough to get a mentor who is constantly there for me to teach me the ropes. Reading your article was very informative, specially for me who is a neophyte in this business. Thanks for the information. Network marketing can be very lucrative and fun.. I am glad you found yourself a good mentor. I think marketing schools should start encorporating online and webmarketing studies into their curriculum. Most still focus on traditional marketing and it could be the difference between marketing departments. That was definitely enlightening. I have always strayed away from these online network marketing for fear of being scammed.Now I know that it really is an active enterprise, I just have to choose wisely on where i should join. This is quite an accurate piece. You know what they say, people are like fish. They’re attracted to shiny things.